Gonzaga University has continued their long-standing relationship with Daktronics by asking the company to manufacture and install 10 new LED displays for multiple sports facilities on campus in Spokane, Washington. Video displays will be installed for basketball, volleyball, baseball and soccer this fall. McCarthey Athletic Center will be receiving seven displays, including a 5-display center hung configuration featuring 1,230 square feet of LED displays to impact and improve Bulldogs basketball and other special events held within the venue. In the center hung configuration, two large sideline-facing displays will measure 12.5 feet high by 21 feet wide, two end-facing displays will measure 12.5 feet high by 12.5 feet wide and a narrow ring display circling the bottom of the configuration will measure 3 feet high by 64.5 feet wide. A new custom hoist will hold the center hung in place over the court. Replacing the existing end wall displays, two new displays measuring 9 feet high by 36 feet wide will be installed. All displays inside McCarthey Athletic Center will feature 6-millimeter line spacing for crisp clear imagery and wide angle visibility for a great view from every seat in the arena. A custom audio system rounds out the arena installation. This new system will integrate with the video and scoring system to provide full-range sound reproduction while delivering clear and intelligible speech for a powerful audio experience for fans. 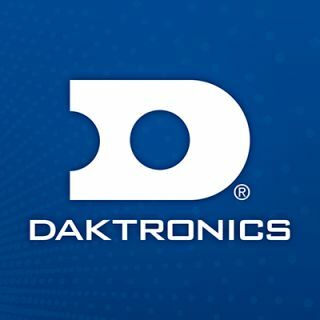 At the adjacent Martin Centre, Daktronics will install a new 6.5-foot-high by 12-foot-wide video display featuring 6-millimeter line spacing as well as two new fixed-digit scoreboards to provide additional statistics for volleyball. Also on campus, Gonzaga Soccer at Luger Field will receive a new video display measuring 8.5 feet high by 16 feet wide as well as a fixed-digit scoreboard for additional soccer statistics. Gonzaga Baseball at Washington Trust Field & Patterson Baseball Complex will receive a new outdoor video display measuring 12 feet high by 36 feet wide. Both outdoor displays will feature 13HD pixel layouts for excellent image clarity and contrast while providing wide angle visibility for fans. All the video displays being installed will feature variable content zoning which allows each display to show one large image or to be divided into multiple zones to show any combination of live video, instant replays, up-to-the-minute statistics, graphics and animations, and sponsorship messages. Daktronics will also be including its powerful Show Control System with this installation. This industry-leading system provides a combination of display control software, world-class video processing, data integration and playback hardware that forms a user-friendly production solution.